Injury threatens to undermine Ashleigh Barty's Australian Open title push after the great home hope pulled out the women's doubles on Saturday with an abdominal strain. A "mild strain" was the official reason offered for Barty's withdrawal, casting doubt over her fitness ahead of Sunday's fourth-round singles showdown with Maria Sharapova. Barty had said she was "all good" and had no concerns following her third-round win over Maria Sakkari on Friday. But the 22-year-old has since opted to reduce her heavy workload, pulling out of her scheduled second-round doubles match with Victoria Azarenka against Americans Jennifer Brady and Alison Riske. Barty has played eight singles matches in 12 days, as well her first-round doubles win in Melbourne. Already guaranteed a career-high ranking following her first-time charge to the Open's last 16, Barty will be knocking on the door of the world's top 10 if she manages to pull off a watershed win over Sharapova. The 15th seed was brimming with belief after beating Sakkari as she eyed a maiden grand slam quarter-final berth. 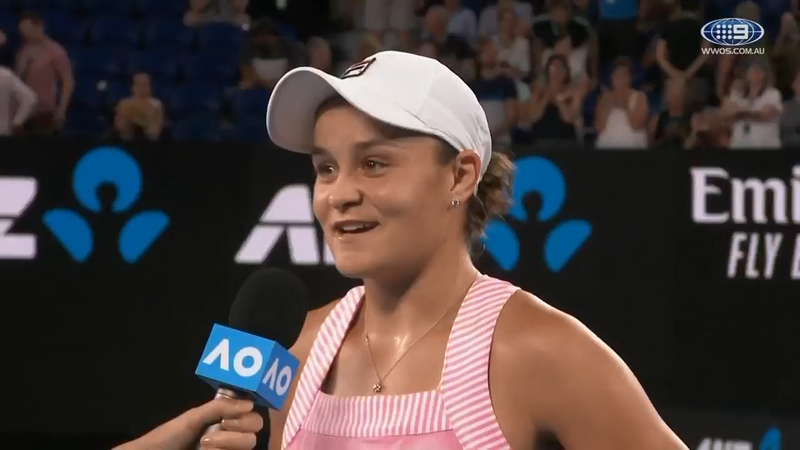 With nine wins already this season, including a straight-sets mugging of world No.1 Simona Halep in Sydney, Barty described her preparation for the blockbuster against one of tennis's modern-day giants as "perfect". "There is nothing else can get you ready for matches than matches," she said. "I feel like I have the matches and tennis under my belt and now it's about going out and executing on the day against my opponent." Barty is four wins away from becoming the first Australian woman to capture the Open singles crown since Chris O'Neill in 1978. But Sharapova, the 2008 Open champion, has never found any room for sentiment and is happy to play the Barty-pooper role after ending Caroline Wozniacki's title reign with a stirring third-round win over the Dane. "Her story is phenomenal," the ruthless Russian said of Barty. 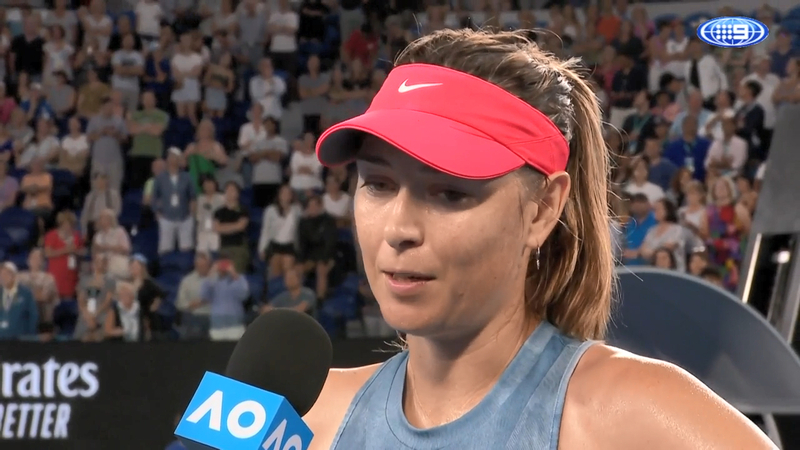 "She loves playing here and did extremely well in Sydney last week. "I know she took a little break from the game and came back and resurged. "It's going to be a tough crowd but I go out here to perform." Serving will be key on Sunday. Barty tops the tournament's ace count with 24 untouchable deliveries through three rounds, while Sharapova has coughed up the most double-faults - 16. Also yet to drop a set during her foray to the last 16, Barty lost to Sharapova in their only previous meeting, last year on clay in Rome. But the Queenslander is a vastly different player now, as evidenced by her projected rise to No.13 in the rankings next week. Success over Sharapova would likely push Barty to 11th in the rankings and within sight of her 2019 goal of cracking the top 10. But a quarter-final against either Czech world No.8 Petra Kvitova or American teenage revelation Amanda Anisimova is what Barty truly craves.